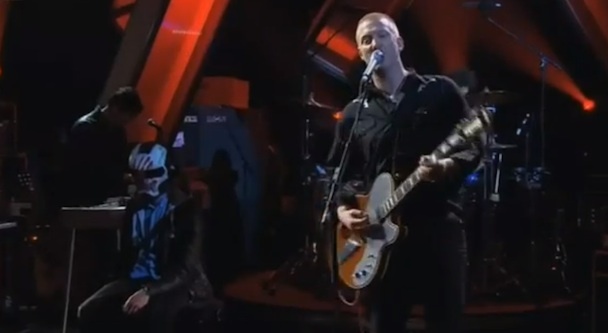 On June 4, Queens of the Stone Age will release a new record on Matador, Like Clockwork. In advance of the album, the band played Jools Holland last month. They also played again last night. Below watch last night’s performance of “If I Had a Tail.” The band was accompanied by the artist Boneface, who is responsible for the band’s album artwork as well as art for several Queens of the Stone Age videos.